Andreae, M.O., 1994. Climatic effects of changing atmospheric aerosol levels. In: World Survey of Climatology, Vol. XVI: Future Climates of the World, Henderson-Sellers (ed. ), Elsevier, Amsterdam. Angell, J.K., 1988. Variations and trends in tropospheric and stratospheric global temperatures, 1958-87. J. Climate, 1, pp. 1296-1313. Arthur, M.A., Dean, W.E. & Schlanger, S.O., 1985. Variations in the Cretaceous related to climate volcanism, and changes in atmospheric CO2. In: The Carbon Cycle and Atmospheric CO2: Natural Variations Archean to Present. Sundquist, E.T. & Broecker, W.S (eds.). Geophys. Mon., 32, Amer. Geophys. Union, Washington D.C., pp. 504-529. Balkanski, Y.J., Jacob, D.J., Gardner, G.M., Graustein, W.C. & Turekian. K.K., 1993. Transport and residence times of continental aerosols inferred from a global three-dimensional simulation of 210Pb. J. Geophys. Res., 98, pp. 20573-20586. Barnett, T.P. & Schlesinger, M.E., 1987. Detecting changes in global climate induced by greenhouse gases. J. Geophys. Res., 92, pp. 14772-14780. Barnola, J.M., Raynaud, D., Korotkevich, Y.S. & Lorius, C., 1987. Vostok ice core provides 160,000 year record of atmospheric CO2, Nature, 329, pp. 408-414. Baron, W.R., 1982. The reconstruction of eighteenth century temperature records through the use of content analysis. Cliamtic Change, 4, pp. 385-398. Barron, E.J., 1983. A warm, equable Cretaceous: The nature of the problem. Earth Sci. Rev., 19, pp. 305-338. Barron, E.J., 1985. Explanations of the Tertiary global cooling trend. Palaeogeog., Palaeoclim., Palaeoecol., 50, pp. 45-61. Barron, E.J., Thompson, S.L. & Schneider, S.H., 1981. An ice-free Cretaceous? Results from climate model simulation. Science, 212, pp. 501-508. Barron, E.J. & Washington, 1985. Warm Cretaceous climates: High atmospheric CO2 as a plausible mechanism. In: The Carbon Cycle and Atmospheric CO2: Natural Variations Archean to Present. Sundquist, E.T. & Broecker, W.S (eds.). Geophys. Mon., 32, Amer. Geophys. Union, Washington D.C., pp.546-553. Barry, R.G. & Perry, A.H., 1973. Statistical Methods. In: Synoptic Climatology: Methods & Applications. Methuen, London. Barry, R.G. & Chorley, R.J., 1992. Atmosphere, Weather & Climate, 6th edn. Routledge, London. 392pp. Bates, T.S., Charlson, R.J. & Gammon, R.H., 1987. Evidence for the climate role of marine biogenic sulphur. Nature, 329, pp. 319-321. Beaty, C., 1978a. The causes of glaciation. Amer. J. Sci., 66, pp. 452-459. Beaty, C., 1978b. Ice ages and continental drift. New Scientist, 80, pp. 776-777. Berger, A.L., 1976. Obliquity and precession for the last 5,000,000 years. Astron. Astrophys., 51, pp. 127-135. Berger, A.L., 1978. Long-term variations of caloric insolation resulting from the Earth’s orbital elements. Quat. Res., 9, pp. 139-167. Berger, A.L., 1984. Accuracy and frequency stability of the Earth’s orbital elements during the Quaternary. In: Milankovitch & Climate, Berger, A.L., Imbrie, J., Hays, J., Kukla, G. & Saltzman, B. (eds.). D. Reidal, Dordrecht, Netherlands, pp. 3-39. Bergthorsson, P., 1969. An estimate of drift ice and temperature in Iceland in 1000 years. Jökull, 19, pp. 94-101. Berner, R.A., Lasaga, A.C. & Garrels, R.M., 1983. The carbonate-silicate geochemical cycle and its effect on atmospheric carbon dioxide over the last 100 million years. Amer. J. Sci., 283, pp. 641-683. Bolin, B, Döös, B.R., Jäger, J. & Warrick, R.A. (eds. ), 1986. The Greenhouse Effect, Climate Change, and Ecosystems. SCOPE Vol. 29, John Wiley & Sons Ltd., Chicester, 539pp. Bond, G.C., Nickeson, P.A. & Kominz, M.A., 1984. Breakup of a supercontinent between 625Ma and 555Ma: New evidence and implications for continental histories. Earth Plan. Sci. Lett., 70, pp. 325-345. Bowler, J.M., 1976. Aridity in Australia: age origins and expression in aeolian landforms and sediments. Earth Sci. Rev. 12, pp. 279-310. Boyle, E.A., 1988. Vertical oceanic nutrient fractionation and glacial/interglacial CO2 cycles. Nature, 331, pp. 55-58. Boyle, E.A. & Keigwin, L.D., 1987. North Atlantic thermohaline circulation during the past 20,000 years linked to high-latitude surface temperatures. Nature, 330, pp. 35-40. Bradbury, J.P., Leyden, B., Salgado-Labouriau, M., Lewis, W.M., Schubert, C., Binford, M.W., Frey, D.G., Whitehead, D.R. & Weibezahn, F.H., 1981. Late Quaternary environmental history of lake Valencia, Venezuela. Science, 214, pp. 1299-1305. Bradley, R.S., 1985. Quaternary Palaeoclimatology: Methods of Palaeoclimatic Reconstruction. Unwin Hyman, London, 472pp. Bradley, R.S. & Jones, P.D., 1992. Climate Since A.D. 1500. Routledge, London, 679pp. Bradley, R.S., Diaz, H.F., Eischeid, J.K., Jones, P.D., Kelly, P.M. & Goodess, C.M., 1987. Precipitation fluctuations over Northern Hemisphere land areas since the mid-19th century. Science, 237, pp. 171-175. Bretherton, F.P., Bryan, K. & Woods, J.D., 1990. Time-dependent greenhouse-gas-induced climate change. In: Climate Change: The IPCC Scientific Assessment, Intergovernmental Panel on Climate Change (IPCC), Houghton, J.T., Jenkins, G.J. & Ephraums, J.J. (eds.). Cambridge University Press, Cambridge, pp. 173-193. Briffa, K.R. & Schweingruber, F.H., 1992. Recent dendroclimatic evidence of northern and central European summer temperatures. In: Climate Since A.D.1500. Routledge, London, pp. 366-392. Broecker, W.S., 1974. Chemical Oceanography. Harcourt Brace, Jovanovitch, New York. Broecker, W.S., 1982. Ocean chemsitry during glacial time. Geochim. Cosmochim. Acta., 46, pp. 1689-1705. Broecker, W.S., 1987. Unpleasant surprises in the greenhouse? Nature, 328, pp.123-126. Broecker, W.S. & Peng, T.-H., 1982. Tracers in the Sea. Eldigio Press, Palisades, New York. Broecker, W.S. & Denton, G.H., 1989. The role of ocean-atmosphere reorganisations in glacial cycles. Geochimica et Cosmochimica Acta, 53(10), pp. 2465-2502. Broecker, W.S. & Denton, G.H., 1990. What drives glacial cycles? Scientific American, 262, pp. 42-50. Broecker, W.S. et al, 1988. The chronology of the last deglaciation: Implications to the cause of the Younger Dryas event. Palaeoceanog., 3, pp. 1-19. Bryson, R.A., 1989. Late Quaternary volcanic modulation of Milankovitch climate forcing. Theoretical & Applied Climatology, 39(3), pp. 115-125. Bryson, R.A. & Wendland, W.M., 1967. Tentative climate patterns for some late-glacial and post-glacial episodes in central North America. In: Life, land and water, Mayer-Oakes, W.J. (ed.). University of Manitoba Press, Winnipeg, pp. 271-298. Buchdahl, J.M., 1997. Valuing Climate Change. In: Proceedings of the 8th Global Warming Conference, New York. Buchdahl, J.M., Longhurst, J.W.S. & Rowe, E.J., 1995. An evaluation of the UK Programme for CO2 reduction. In: Air Pollution III Volume 2: Pollution Control and Monitoring, Baldasano, J.M., Brebbia, C.A., Power, H. & Zannetti, P (eds.). Computational Mechanics Publications, Southampton. Butcher, S.S., Charlson, R.J., Orians, G.H., Wolfe, G.V. (eds. ), 1992. Global Biogeochemical Cycles. Academic Press Ltd., London. Butler, J.H., Elkins, J.W., Thompson, T.M., Hall, B.D., Swanson, T.H. & Koropalov, V., 1991. Oceanic consumption of CH3CCl3: implications for tropospheric OH. J. Geophys. Res., 96, pp. 22347-22355. Campbell, I.M., 1986. Energy and the atmosphere: A physical-chemical approach, 2nd edn. John Wiley & Son Ltd., Chichester, England, 337pp. Caputo, M.V. & Crowell, J.C., 1985. Migration of glacial centres across Gondwana during the Palaeozoic Era. Geol. Soc. Amer. Bull., 96, pp. 1020-1036. Carbon Dioxide Information Analysis Centre (CDIAC), 1991, 1993. Trends `91, `93: A Compendium of Data on Global Change. Oak Ridge National Laboratory, USA. Cess, R.D. & Potter, G.L., 1988. A methodology for understanding and intercomparing atmospheric climate feedback processes in general circulation models. J. Geophys, Res., 93, pp. 8305-8314. Cess, R.D., Potter, G.L., Blanchet, J.P., Boer, G.J., Del Genio, A.D., Déqué, M., Dymnikov, V., Galin, V., Gates, W.L., Ghan, S.J., Kiehl, J.T., Lacis, A.A., Le Treut, H., Li, Z.-X., Liang, X.-Z., McAvaney, B.J., Meleshko, V.P., Mitchell, J.F.B., Morcrette, J.-J., Randall, D.A., Rikus., L., Roeckner, E., Royer, J.F., Schlese, U., Sheinin, D.A., Slingo, A., Sokolov, A.P., Taylor, K.E., Washington, W.M., Wetherald, R.T., Yagai, I. & Zhang, M.-H.,1990. Intercomparison and interpretation of climate feedback processes in nineteen atmospheric general circulation models. J. Geophys. Res., 95, pp. 16601-16615. Cess, R.D., Potter, G.L., Zhang, M.-H., Blanchet, J.P., Chalita, S., Colman, R., Dazlich, D.A., Del Genio, A.D., Dymnikov, V., Galin, V., Jerret, D., Keup, E., Lacis, A.A., Le Treut, H., Liang, X.-Z., Mahouf, J.-F., McAvaney, B.J., Meleshko, V.P., Mitchell, J.F.B., Morcrette, J.-J., Norris, P.M., Randall, D.A., Rikus., L., Roeckner, E., Royer, J.F., Schlese, U., Sheinin, D.A., Slingo, A., Sokolov, A.P., Taylor, K.E., Washington, W.M., Wetherald, R.T. & Yagai, I., 1991. Interpretation of snow-climate feedback as produced by seventeen general circulation models. Science, 253, pp. 888-892. Chamberlain, A.C., 1991. Radiative Aerosols. Cambridge Univeristy Press, Cambridge, 255pp. Chapman, S., 1930. A theory of upper atmospheric ozone. Quar. J. Royal Met. Soc., 3, pp. 103. Charlson, R.J., Lovelock, J.E., Andreae, M.O. & Warren, S.G., 1987. Oceanic phytoplankton, atmsopheric sulphur, cloud albedo and climate. Nature, 326, pp. 655-661. Charlson, R.J., Schwartz, S.E., Hales, J.M., Cess, R.D., Coakley, J.A., Hansen, J.E. & Hofmann, D.J., 1992. Climate forcing by anthropogenic aerosols. Science, 255, pp. 422-430. Coakley, J.A., Bernstein, R.L. & Durkee, P.A., 1987. Effects of ship-stack effluents on cloud reflectivities. Science, 237, pp. 1020-1022. COHMAP Members, 1988. Climatic change of the last 18,000 years: Observations and model simulations. Science, 241, pp. 1043-1052. Conrad, V. & Pollak, L.D., 1962. Methods in Climatology. Harvard University Press, Harvard. Craig, H., 1961. Standard for reporting concentrations of deuterium and oxygen-18 in natural waters. Science, 133, pp. 1833-1834. Critchfield, H.J., 1983. General Climatology. Englewood Cliffs: Prentice-Hall. Croll, J., 1867a. On the excentricity of the Earth’s orbit, and its physical relations to the glacial epoch. Philosophical Magazine, 33, pp. 119-131. Croll, J., 1867b. On the change in the obliquity of the eliptic, its influence on the climate of the polar regions and on the level of the sea. Philosophical Magazine, 33, pp. 426-445. Crowell, J.C. & Frakes, L.A., 1970. Phanerozoic glaciation and the causes of ice ages. Amer. J. Sci., 268, pp. 193-224. Crowley, T.J. & North, G.R., 1991. Palaeoclimatology. Oxford Monographs on Geology and Geophysics No. 18. Oxford University Press, New York, 339pp. Crowley, T.J., Mengel, J.G. & Short, D.A., 1987. Gondwanaland’s seasonal cycle. Nature, 329, pp. 803-807. Crowley, T.J., Hyde, W.T. & Short, D.A., 1989. Seasonal cycle variations on the supercontinent of Pangea. Geology, 17, pp. 457-460. Crozaz, G. & Langway, C.C. Jr., 1966. Dating Greenland firn-ice cores with 210Pb. Earth Planet. Sci. Lett., 1, pp. 194-196. Cubasch, U. & Cess, R.D., 1990. Processes and modelling. In: Climate Change: The IPCC Scientific Assessment, Intergovernmental Panel on Climate Change (IPCC), Houghton, J.T., Jenkins, G.J. & Ephraums, J.J. (eds.). Cambridge University Press, Cambridge, pp. 69-91. Cubasch, U., Maier-Reimer, E., Santer, B., Mikolajewicz, U., Roeckner, E. & Boettinger, M., 1990. The response of a global coupled O-AGCM to CO2 doubling. MPI report, MPI fuer Meteorologie, Hamburg, Germany. Dansgaard, W. 1961. The isotopic composition of natural waters with special reference to the Greenland Ice Cap. Meddr Grønland, 165, pp. 1-120. Dansgaard, W. & Johnsen, S.J., 1969. A flow model and a time scale for the ice core from Camp Century. J. Glaciol., 8, pp. 215-223. Dansgaard, W., Johnsen, S.J., Clausen, B., Dahl-Jensen, D., Gundestrup, N., Hammer, C.U. & Oeschger, H., 1984. North Atlantic climatic oscillations revealed by deep Greenland ice cores. In: Climate Processes and Climate Sensitivity. Hansen, J.E. & Takahashi, T. (eds.). Geophys. Mono., 29, Amer. Geophys. Union, Washington D.C., pp. 288-298. Dansgaard, W., White, J.W.C. & Johnsen, S.J., 1989. The abrupt termination of the Younger Dryas climatic event. Nature, 339, pp. 532-534. Davis, M.B., 1963. On the theory of pollen analysis. Amer. J. Sci., 261, pp. 899-912. Davis, M.B., 1973. Redeposition of pollen grains in lake sediment. Limnol. Oceanogr., 18, pp. 44-52. Davis, D.D. & Solomon, S.C., 1981. Variations in the velocities of the major plates since the late Cretaceous. Technophys., 74, pp. 189-208. Dawson, M.R., West, R.M., Langston, W. & Hutchinson, J.H., 1976. Palaeogene terrestrial vertebrates: Northernmost occurrence, Ellsemere Island, Canada. Science, 192, pp. 781-782. Demarée, G. & Nicolis, C., 1990. Onset of Sahelian drought viewed as a fluctuation-induced transition. Q.J.R. Meteorol. Soc., 116, pp. 221-238. Department of Environment (DoE), 1994. Climate Change: the UK Programme. HMSO, London. Department of Trade and Industry (Dti), 1995. Energy Use and Energy-Related Emissions of Carbon Dioxide in UK, 1995-2020, Energy Paper 65. HMSO, London. Diaz, H.F., Bradley, R.S. & Eischeid, J.K., 1989. Precipitation fluctuations over global land areas since the late 1800s. J. Geophys. Res., 94, pp. 1195-1210. Dotto, L. & Schiff, H., 1978. The Ozone War. Garden City, New York: Doubleday. Douglas, R.G. & Woodruff, F., 1981. Deep sea benthic foraminifera. In: The Sea, vol. 7. Emiliani (ed.). Wiley-Interscience, New-York, pp. 1233-1327. Duplessy, J.C., 1978. Isotope studies. In: Climate Change, Gribben, J. (ed.). Cambridge Univeristy Press, Cambridge, pp. 46-67. Duplessy, J.C. & Shackleton, N.J., 1985. Response of global deep water circulation to Earth’s climatic change 135,000 – 107,000 years ago. Nature, 316, pp. 500-506. Eddy, J.A., 1976. The Mauder Minimum. Science, 192, pp. 1189-1202. Eddy, J.A., 1977. Climate and the changing Sun. Climatic Change, 1(2), pp. 173-190. Eddy, J.A., 1982. The solar constant and surface temperature. In: Interpretation of Climate and Photochemical Models, Ozone and Temperature Measurements, Peck, R.A. & Hummel, J.R. (eds.). American Institute of Physics, New York. Emmanuel, W.R., Shugart, H.H. & Stevenson, M.P., 1985. Climate change and the broad-scale distribution of terrestrial ecosystem complexes. Climate Change, 7, pp. 29-43. Emiliani, C., 1978. The cause of the Ice Ages. Earth Plant. Sci. Lett., 37, pp. 349-352. Environmental Protection Agency (EPA), 1989. The Potential Effects of Global Climate Change on the United States. Report to Congress. Epstein, S., Yapp, C.J. & Hall, J.H., 1976. 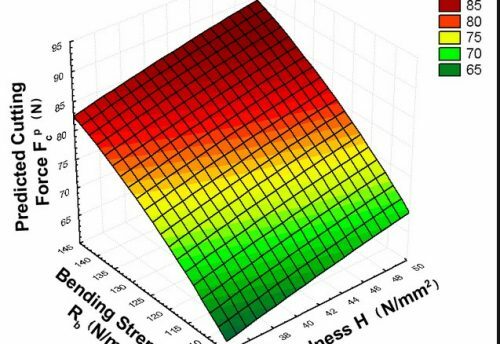 The determination of the D/H ratio of non-exchangeable hydrogen in cellulose extracted from aquatic and land plants. Earth Planet. Sci. Lett., 30, pp. 241-251. Farman, J.C., Gardiner, B.G. & Shanklin, J.D., 1985. Large losses of total ozone in Antarctica reveal seasonal ClOx/NOx interaction. Nature, 315, pp. 207-210. Farmer, G., Wigley, T.M.L., Jones, P.D. & Salmon, M., 1989. Documenting and explaining recent global-mean temperature changes. Climatic Research Unit, Norwich, Final Report to NERC, UK, Contract GR3/6565. Fiering, M. & Rogers, P., 1989. Climate Change & Water Resources Planning Under Uncertainty. US Army Institute for Water Resources. Ft. Belvoir, 105pp. Fischer, A.G., 1982. Long term climate oscillations recorded in stratigraphy. In: Climate In Earth History. Natl. Acad. Press, Washington D.C., pp. 97-104. Fischer, A.G., 1984. The two Phanerozoic supercycles. In: Catastrophes and Earth History: the new uniformitarianism, Berggren, W.A. & Van Couvering, J.A. (eds.). Princeton University Press, Princeton, New Jersey, pp. 129-150. Folland, C.K., 1988. Numerical models of the rainguage exposure problem, field experiments and an improved collector design. Quar. Royal Met. Soc., 114, pp. 1488-1516. Folland, C.K., Karl, T.R. & Vinnikov, K.Ya., 1990. Observed climate variations and change. In: Climate Change: The IPCC Scientific Assessment, Intergovernmental Panel on Climate Change (IPCC), Houghton, J.T., Jenkins, G.J. & Ephraums, J.J. (eds.). Cambridge University Press, Cambridge, pp. 195-238. Folland, C.K., Owen, J., Ward, M.N. & Colman, A., 1991. Prediction of seasonal rainfall in the Sahel region using empirical and dynamical methods. J. Forecasting, 10, pp. 21-56. Foukal, P.V., 1990. The variable Sun. Scientific American, 262(2), pp. 34-41. Frakes, L.A., 1979. Climates Throughout Geologic Time. Elsevier, Amsterdam. Fritts, H.C., 1971. Dendroclimatology and dendroecology. Quat. Res., 1, pp. 419-449. Fritts, H.C., 1976. Tree rings and climate. Academic Press, London. Frosberg, M.A., 1989. Climate change and forest fires. In: Coping with Climate Change – Proceedings of the Second North American Conference on Preparing for Climate Change: A Cooperative Approach, pp. 292-296, Topping Jr., J.C. (ed.). The Climate Institute, Washington D.C.
Gaffin, S.R., Hoffert, M.I. & Volk, T., 1986. Nonlinear coupling between surface temperature and ocean upwelling as an agent in historical climate variations. J. Geophys. Res., 91, pp. 3944-3950. Gani, J., 1975. The use of statistics in climatological research. Search, 6, pp. 504-508. Gates, W.L., Rowntree, P.R. & Zeng, Q.-C., 1990. Validation of climate models. In: Climate Change: The IPCC Scientific Assessment, Intergovernmental Panel on Climate Change (IPCC), Houghton, J.T., Jenkins, G.J. & Ephraums, J.J. (eds.). Cambridge University Press, Cambridge, pp. 93-130. Gates, W.L., Mitchell, J.F.B., Boer, G.J., Cubasch, U. & Meleshko, V.P., 1992. Climate modelling, climate prediction and model validation. In: Climate Change 1992: The supplementary report to the IPCC Scientific Assessment, Intergovernmental Panel on Climate Change (IPCC), Houghton, J.T., Callander, B.A. & Varney, S.K. (eds.). Cambridge University Press, Cambridge, pp. 97-134. Genthon, C., Barnola, J.M., Raynaud, D., Lorius, C., Jouzel, J., Barkov, N.I., Korotkevich, Y.S. & Kotlyakov, V.M., 1987. Vostock ice core: climatic response to CO2 and orbital forcing changes over the last climatic cycle. Nature, 329, pp. 414-418. Gibbs, W.J., Maher, J.V. & Coughlan, M.J., 1978. Climatic variability and extremes. In: Climatic Change and Variability, Pittock, A.B., Frakes, L.A., Jensun, D., Peterson, J.A. & Zillman, J.W., (eds.). Cambridge Univesity Press, pp. 135-150. Gloersen, P. & Campbell, W.J., 1988. Variations in the Arctic, Antarctic, and global sea ice covers during 1979-1987 as observed with the Nimbus 7 Scanning Multichannel Microwave Radiometer. J. Geophys. Res., 93, pp. 10666-10674. Godske, C.L., 1966. Methods of statistics and some applications to climatology. In: Statistical Analysis and Prognosis in Meteorology, World Meteorological Organisation (WMO), 1966, Tech. Note 71, pp. 9-86. Goodess, C.M., Palutikof, J.P. & Davies, T.D., 1992. The nautre and causes of climate change. Belhaven Press, London. 248pp. Grove, J.M., 1988. The Little Ice Age. Methuen, London, 498pp. Hadley Centre, 1995. Modelling Climate Change 1860-2050. Hadley Centre for Climate Prediction & Research, 12pp. Hallam, A., 1984. Pre-Quaternary sea-level changes. Ann. Rev. Earth Plan. Sci. 12, pp. 205-243. Hammer, C.U., 1977. Past volcanism reveled by Greenland Ice Sheet impurities. Nature, 270, pp. 482-486. Hammer, C.U., Clausen, H.B., Dansgaard, W., Gundestrup, N, Johnsen, S.J. & Reeh, N., 1978. Dating of Greenland ice cores by flow models, isotopes, volcanic debris and continental dust. J. Glaciol., 20, pp. 3-26. Hammer, C.U., Clausen, H.B. & Dansgaard, W., 1980. Greenland ice sheet evidence of post-glacial volcanism and its climatic impact. Nature, 288, pp. 230-235. Hansen, J.E. & Lebedeff, S., 1988. Global trends of measured surface air temperature. J. Geophys. Res., 92, pp. 13345-13372. Hansen, J.E., Lacis, A, Rind, D., Russel, L., Stone, P., Fung, I., Ruedy, R. & Lerner, J., 1984. Climate sensitivity analysis of feedback mechanisms. In: Climate processes and climate sensitivity, (Hansen, J.E. & Takahashi, T.), Geophys. Monogr. Ser., 29, AGU, Washington D.C., pp. 130-163. Hansen, J.E., Fung, I., Lacis, A., Rind, D., Lebedeff, S., Ruedy, R. & Russell, G., 1988. Global climate changes as forecast by Goddard Institute for Space Studies (GISS) Three-Dimensional Model. J. Geophys. Res., 93, pp. 9341-9364. Hansen, J.E., Sato, M., Lacis, A. & Ruedy, R., 1993. Climatic impact of ozone change. In: The Impact on Climate of Ozone Change & Aerosols, Background Material from the Joint Workshop of IPCC Working Group I and the International Ozone Assessment Panel, Hamburg, May, 1993. Haq, B.U., Premoli-Silva, I. & Lohmann, G.P., 1977. Calcareous planktonic palaeobiogeographic evidence for major climatic fluctuations in the Early Cenozoic Atlantic Ocean. J. Geophys. Res., 8, pp. 427-431. Haq, B.U., Hardenbol, J., & Vail, P.R., 1987. Chronology of fluctuating sea levels since the Triassic. Science, 235, pp. 1156-1167. Hare, F.K., 1979. Climatic variation and variability: empirical evidence from meteorological and other sources. In: Proceedings of the World Climate Conference, World Meteorological Organisation Publication No. 537. WMO, Geneva, pp. 51-87. Hauglustaine, D.A., Granier, C, Brasseur, G.P. & Megie, G., 1994. The importance of atmospheric chemistry in the calculation of radiative forcing on the climate system. J. Geophys. Res., 99, pp. 1173-1186. Hayes, D.E. & Frakes, L.A., 1975. General synthesis. In: Initail Report of the Deep Sea Drilling Project, vol. 28, US Govt. Print. Office, Washington D.C., pp. 919-942. Hays, J.D. & Perruzza, A., 1972. The significance of calcium carbonate oscillations in eastern equitorial Atlantic deep-sea sediments for the end of the Holocene warm interval. Quat. Res., 2, pp. 335-362. Hays, J.D., Imbrie, J. & Shackleton, N.J., 1976. Variations in the Earth’s orbit: Pacemaker of the ice ages. Science, 194, pp. 1121-1132. Henderson-Sellers, A., 1986. Cloud changes in a warmer Europe. Clim. Change, 8, pp. 25-52. Henderson-Sellers, A., 1989. North American total cloud amount variations this century. Glob. & Planet. Change, 1, pp. 175-194. Henderson-Sellers, A. & Robinson, P.J., 1986. Contemporary Climatology. Longman Group UK Ltd., Harlow, England. 439pp. Henderson-Sellers, A. & McGuffie, K., 1987. A Climate Modelling Primer. Wiley, Chichester. Hofmann, D.J., Oltmans, S.J., Harris, J.M., Solomon, S., Deshler, T. & Johnson, B.J., 1992. Observation and possible causes of new ozone depletion in Antarctica in 1991. Nature, 359, pp. 283-287. Hofmann, D.J., Deshler, T.L., Aimedieu, P., Matthews, W.A., Johnston, P.V., Kondo, Y., Sheldon, W.R., Byrne, G.J. & Benbrook, J.R., 1989. Stratospheric clouds and ozone depletion in the Arctic during January 1989. Nature, 340, pp. 117-121. Hood, L.L. & Jirikowic, J.L., 1990. Recurring variations of probable solar origin in the atmospheric 14C time record. Geophys. Res. Lett., 17(1), pp. 85-88. Hoyle, F., 1981. Ice. Hutchinson, London. Huff, F.A., 1970. Sampling errors in measurement of mean precipitation. J. App. Met., 9, pp. 35-44. Huggett, R.J., 1991. Climate, Earth Processes and Earth History. Springer-Verlag. 281pp. Imbrie, J. & Imbrie, K.P., 1979. Ice Ages: Solving the Mystery. Macmillan Press Ltd., London, 224pp. Ingram, M.J., Underhill, D.J. & Farmer, G., 1981. The use of documentary sources for the study of past climates. In: Climate and History, Wigley, T.M.L, Ingram, M.J. & Farmer, G. (eds.). Cambridge University Press, Cambridge, pp. 180-213. Ingram, W.J., Wilson, C.A. & Mitchell, J.F.B., 1989. Modelling climate change: an assessment of sea ice and surface albedo feedbacks. J Geophys. Res., 94, pp. 8609-8622. Intergovernmental Panel on Climate Change (IPCC), 1990a. Climate Change: The IPCC Scientific Assessment, Houghton, J.T., Jenkins, G.J. & Ephraums, J.J. (eds.). Cambridge University Press, Cambridge, 365pp. Intergovernmental Panel on Climate Change (IPCC), 1990b. Tegart, W.J.McG, Sheldon, G.W. & Griffiths, D.C. (eds.). Climate Change: The IPCC Impacts Assessment. Australian Government Publishing Service, Canberra. Intergovernmental Panel on Climate Change (IPCC), 1992. Houghton, J.T., Callander, B.A. & Varney, S.K. (eds.). Climate Change 1992: The supplementary report to the IPCC Scientific Assessment, Cambridge University Press, Cambridge, 200pp. Intergovernmental Panel on Climate Change (IPCC), 1995. Houghton, J.T., Meira Filho, L.G., Bruce, J., Lee, H., Callander, B.A., Haites, E., Harris, N. & Maskell, K. (eds.). Climate Change 1994: Radiative Forcing of Climate Change, and An Evaluation of the IPCC IS92 Emission Scenarios, Cambridge University Press, Cambridge, 339pp. Intergovernmental Panel on Climate Change (IPCC), 1996. Houghton, J.T., Meira Filho, L.G., Callander, B.A., Harris, N., Kattenberg, A. & Maskell, K. (eds.). Climate Change 1995: The Science of Climate Change, Cambridge University Press, Cambridge, 572 pp. Isaksen, I.S.A., Ramaswamy, V., Rodhe, H. & Wigley, T.M.L., 1992. Radiative forcing of climate. In: Climate Change 1992: The supplementary report to the IPCC Scientific Assessment, Intergovernmental Panel on Climate Change (IPCC), Houghton, J.T., Callander, B.A. & Varney, S.K. (eds.). Cambridge University Press, Cambridge, pp. 47-67. Iversen, J., 1944. Viscum, Hedera and Ilex as climatic indicators. A contribution to the study of past-glacial temperature climate. Geol. Fören. Stockholm Förhandl., 66, pp. 463-483. Jacobson, G. & Bradshaw, R., 1981. The selection of sites for palaeovegetational studies. Quat. Res., 16, pp. 80-96. Jansen, E., Bleil, U., Henrich, R., Kringstad, L. & Slettemark, B., 1988. Palaeoenvironmental changes in the Norwegian Sea and the northeast Atlantic during the last 2.8 m.y. : Deep Sea Drilling Project/Ocean Drilling Project sites 610, 642, 643 and 644. Palaeoceanog., 3, pp. 563-581. Johnson, G.T. & Linacre, E.T., 1978. Estimation of winds at particular places. In: Proceedings of International Clean Air Conference, Brisbane, White, E.T., Hetherington, P. & Thiele, B.R. (eds.). Ann Arbor Scientific, pp. 751-762. Jonas, P.R., Charlson, R.J. & Rodhe, H., 1995. Aerosols. In: Climate Change 1994: Radiative Forcing of Climate Change, and An Evaluation of the IPCC IS92 Emission Scenarios, Intergovernmental Panel on Climate Change, Houghton, J.T., Meira Filho, L.G., Bruce, J., Lee, H., Callander, B.A., Haites, E., Harris, N. & Maskell, K. (eds.). Cambridge University Press, Cambridge, pp. 127-162. Jones, P.D., 1988. Hemespheric surface air tempertaure variations: recent trends and an update to 1987. J. Climate, 1, pp. 654-660. Jones, P.D., Wigley, T.M.L. & Farmer, G., 1991. Marine and land temperature data sets: A comparison and a look at recent trends. In: Greenhosue-Gas-Induced Climate Change: A Critical Appraisal of Simulations and Observations, Schlesinger, M.E. (ed.). Elsevier, Amsterdam, pp. 153-172. Jones, A., Roberts, D.L. & Slingo, A., 1994. A climate model study of the indirect radiative forcing by anthropogenic sulphate aerosols. Nature, 370, pp. 450-453. Jouzel, J. et al., 1987. Vostok ice core: A continuous isotope temperature record over the last climatic cycle (160,000 years). Nature, 329, pp. 403-408. Kana, T.W., Michel, J., Hayes, M.O. & Jensen, J.R., 1984. The physical impact of sea level rise in the area of Charlston, South Carolina. In: Greenhouse Effect and Sea Level Rise, Barth, M.C. & Titus, J.G. (eds.). Van Nostrand Reinhold Co., New York, NY, Chap. 4, pp. 105-150. Karl, T.R. & Steurer, P.M., 1990. Increased cloudiness in the United States during the first half of the twentieth century: Fact or fiction. Geophys. Res. Lett. Karlén, W., 1980. Reconstruction of past climatic conditions from studies of glacier-front variations. World Met. Org. Bull., 29, pp. 100-104. Karoly, D.J., 1987. Southern Hemisphere temperature trends: A possible greenhouse gas effect? Geophys. Res. Lett., 14, pp. 1139-1141. Karoly, D.J., 1989. Northern Hemisphere temperature trends: A possible greenhouse gas effect? Geophys. Res. Lett., 16, pp. 465-468. Kaufman, Y.J. & Chou, M.D., 1993. Model simulations of the competing climatic effects of SO2 and CO2. J. Climate, 6, pp. 1241-1252. Kaye, J., Penkett, S. & Ormond, F., 1994. Report on Concentrations, Lifetimes and Trends of CFCs, Halons and Related Species, NASA Reference Publication 1339, NASA Office of Mission to Planet Earth, Science Division, Washington D.C.
Keigwin, L.D., 1980. Palaeoceanographic change in the Pacific at the Eocene-Oligocene boundary. Nature, 287, pp. 722-725. Kelly, P.M. & Sear, C.B., 1984. Climatic impact of explosive volcanic eruptions. Nature, 311, pp. 740-743. Kelly, P.M. & Wigley, T.M.L., 1992. Solar cycle length, greenhouse forcing, and global climate. Nature, 360, pp. 328-330. Kemp, D.D., 1994. Global environmental issues: a climatological approach, 2nd ed. Routledge, London, 224pp. Kennett, J.P., 1976. Phenotypic variation in some recent and late Cenozoic planktonic foraminifera. In: Foraminifera, Vol. 2, Hedley, R.H. & Adams, C.G. (eds. ), Academic Press, New York, pp. 111-170. Kiehl, J.T. & Brigleb, B.P., 1993. The relative role of sulphate aerosols and greenhouse gases in climate forcing. Science, 260, pp. 311-314. Kim, Y. & Cess, R.D., 1993. Effect of anthropogenic sulphate aerosols on low level cloud albedo over oceans. J. Geophys. Res., 98, pp. 14883-14885. Koerner, R.M., 1977a. Devon Island Ice Cap: core stratigraphy and palaeoclimate. Science, 196, pp. 15-18. Koerner, R.M., 1977b. Distribution of microparticles in a 299m core through the Devon Island ice cap, North West Territories, Canada. In: Symposium on Isotopes and Impurities in Snow and Ice, International Association of Scientifc Hydrology Publication No. 118. IASH, Washington D.C., pp. 371-376. Kolla, V., Biscaye, P.E. & Hanley, A.F., 1979. Distribution of quartz in late Quaternary Atlantic sediments in relation to climate. Quat. Res., 11, pp. 261-277. Kuhn, J.R., Libbrecht, K.G. & Dicke, R.H., 1988. The surface temperature of the Sun and changes in the solar constant. Science, 242, pp. 908-910. Kukla, G.J., 1970. Correlation between loesses and deep-sea sediments. Geologiska Föreningeas i Stockholm Förhandlingar, 92, pp. 148-180. Kutzbach, J.E. & Gallimore, R.G., 1989. Pangean climates: Megamonsoons of the megacontinent. J. Geophys. Res., 94, pp. 3341-3357. Kvenvolden, K.A., 1988. Methane hydrates and global climate. Global Biogeochem. Cycles, 2, pp. 221-230. Lacis, A.A., Wuebbles, D.J. & Logan, J.A., 1990. Radiative forcing of climate by changes in the vertical distribution of ozone. J. Geophys. Res., 95, pp. 9971-9981. Lamb, H.H., 1970. Volcanic dust in the atmosphere; with a chronology and assessment of its meteorological significance. Phil. Trans. Royal Soc. A, 266, pp. 452-533. Lamb, H.H., 1982. Climate, History and the Modern World. Methuen & Co., Ltd., London. Langway, C.C., Jr., 1970. Stratigraphic analysis of a deep ice core from Greenland, Geological Society of America Special Paper 125. Geological Society of America, Boulder, Colorado. Lashof, D.A., 1989. The dynamic greenhouse: Feedback processes that may influence future concentrations of atmospheric trace gases and climate change. Climatic Change, 14, pp. 213-242. Law, C.S. & Owen, N.J.P., 1990. Significant flux of atmospheric nitrous oxide from the north-west Indain Ocean. Nature, 346, pp. 826-828. Legrand, M. & Delmas, R.J., 1987. A 220-year continuous record of volcanic H2SO4 in the Antarctic ice sheet. Nature, 327, pp. 671-676. Legrand, M.R., Delmas, R.J. & Charlson, R.J., 1988. Climate forcing implications from Vostok ice-core sulphate data. Nature, 334, pp. 418-420. Lewis, J., 1988. The Implications of Sea Level Rise for Island and Low Lying Countries. Report for Commonwealth Secretariat. Libby, L.M., 1972. Multiple thermometry in palaeoclimatic and historic climate. J. Geophys. Res., 77, pp. 4310-4317. Linacre, E., 1992. Cliamte data and resources: a reference and guide. Rouledge, London, 366pp. Lloyd, C.R., 1982. The mid-Cretaceous earth: Palaeogeography, ocean circulation and temperature, atmospheric circulation. J. Geol., 90, pp. 393-413. Lorenz, E.N., 1991. Chaos, spontaneous climatic variations and detection of the greenhouse effect. In: Greenhosue-Gas-Induced Climate Change: A Critical Appraisal of Simulations and Observations, Schlesinger, M.E. (ed.). Elsevier, Amsterdam, pp. 445-453. Lorius, C., Jouzel, J., Raynaud, D., Hansen, J. & Le Treut, H., 1990. The ice core record: climate sensitivity and future greenhouse warming. Nature, 347, pp. 139-145. MacCracken, M.C. & Luther, F.M. (eds. ), 1985. Detecting the Climate Effects of Increasing Carbon Dioxide. US Department of Energy, Carbon Dioxide Research Division, Washington D.C., 198pp. Machida, T., Nakazawa, T., Tanaks, M., Fujii, Y., Aoki, S. & Watanabe, O., 1994. Atmospheric methane and nitrous oxide concentrations during the last 250 years deduced from H15 Ice Core, Antarctica. Proceedeings International Symposium on Global Cycles of Atmsopheric Greenhouse gases, Sendai, Japan, 7-1- March, 1994, pp. 113-116. Madden, R.A. & Ramanathan, V., 1980. Detecting climate change due to increasing carbon dioxide. Science, 209, pp. 763-768. Manabe, S. & Wetherald, R.T., 1967. Thermal equilibrium of the atmosphere with a given distribution of relative humidity. J. Atmos. Science, 24, pp. 241-259. Manabe, S. & Stouffer, R.J., 1980. Sensitivity of a global climate model to an increase of CO2 concentration in the atmosphere. J. Geophys. Res., 85, pp. 5529-5554. Manabe, S. & Stouffer, R.J., 1988. Two stable equilibria of a coupled ocean-atmosphere model. J. Climate, 1(9), pp. 841-866. Manley, G., 1974. Central England temperatures: monthly means 1659 to 1973. Quar. J. Royal Met. Soc., 100, pp. 389-405. Marenco, A., Gouget, H., Nédelec, P., Pagés, J-P. & Karcher, F., 1994. Evidence of a long-term increase in tropospheric ozone from Pic du Midi data series – consequences: positive radiative forcing. J. Geophys. Res., 99, pp. 16617-16632. Martens, W. et al., 1995. Environmental Helath Perspectives, 103, pp. 458-464. Matson, P. & Vitousek, P., 1990. Ecosystems approach to a global nitrous oxide budget. Bioscience, 40, pp. 667-672. Matthews, J.A., 1980. Some problems and implications of 14C dates from a podzol buried beneath an end moraine at Haugabreen, southern Norway. Geogr. Annlr., 62A, pp. 185-298. McBean, G. & McCarthy, J., 1990. Narrowing the uncertainties. In: Climate Change: The IPCC Scientific Assessment, Intergovernmental Panel on Climate Change (IPCC), Houghton, J.T., Jenkins, G.J. & Ephraums, J.J. (eds.). Cambridge University Press, Cambridge, pp. 311-328. Melillo, J.M., Callaghan, T.V., Woodward, F.I., Salati, E. & Sinha, S.K., 1990. Effect on Ecosystems. In: Climate Change: The IPCC Scientific Assessment, Intergovernmental Panel on Climate Change (IPCC), Houghton, J.T., Jenkins, G.J. & Ephraums, J.J. (eds.). Cambridge University Press, Cambridge, pp. 281-310. Melillo, J.M., McGuire, A.D., Kicklighter, D.W., Moore III, B., Vorosmarty, C.J. & Schloss, A.L., 1993. Global climate change and terrestrial net primary production. Nature, 363, pp. 234-240. Milankovitch, M.M., 1941. Canon of Insolation and the Ice Age Problem. Königlich Serbische Academie, Belgrade. English translation by the Israel Program for Scientific Translations, United States Department of Commerce and the National Science Foundation, Washington D.C.
Mitchell, J.F.B., Senior, C.A. & Ingram, W.J., 1989. CO2 and climate: A missing feedback? Nature, 341, pp. 132-143. Mitchell, J.F.B., Manabe, S., Meleshko, V.P. & Tokioka, T., 1990. Equilibrium climate change – and its implications for the future. In: Climate Change: The IPCC Scientific Assessment, Intergovernmental Panel on Climate Change (IPCC), Houghton, J.T., Jenkins, G.J. & Ephraums, J.J. (eds.). Cambridge University Press, Cambridge, pp. 131-172. Mitchell, J.M., 1976. An overview of climatic variability and its causal mechanisms. Quaternary Research, 6(4), pp. 481-494. Mitchell, J.M., Stockton, C.W. & Meko, D.M., 1979. Evidence of a 22 year rhythm of drought in the western United States related to the Hale solar cycle since the 17th century. In: Solar-Terrestrial Influxes on Weather and Climate, McCormack, B.M. & Seliga, T.A. (eds.). D. Reidel, Dordrecht, pp. 125-144. Mitchell, J.M. et al., 1966, Climate Change. Technical Note No. 79. World Meteorological Organisation. Moore, R.M. & Tokarczyk, R., 1993. Volatile biogenic halocarbons in the north-west Atlantic. Global Biogeochem. Cycles, 7(1), pp. 195-210. Moore, T.C., Loutit, T.S. & Grenlee, S.M., 1987. Estimating short term changes in eustatic sea level. Palaeoceanog., 2, pp. 625-637. Morgan, V.I., 1982. Antarctic Ice Sheet surface oxygen isotope values. J. Glaciol., 28, pp. 315-323. Mueller, C.C. & Kidder, E.H., 1972. Rainguage catch variations due to airflow disturbances around a standard rainguage. Water Resources Res., 8, pp. 1077-1082. Mysak, L.A. & Manak, D.A., 1989. Arctic sea-ice extent and anomalies, 1953-1984. Atmospher-Ocean, 27, pp. 376-405. Nakazawa, T., Machida, T., Tanaks, M., Fujii, Y., Aoki, S. & Watanabe, O., 1993. Differences of the atmsopheric CH4 concentration between Arctic and Antarctic regions in pre-industrial/agricultural era. J. Geophys. Res. Lett., 20, pp. 943-946. Neftel, A., Oeschger, H., Staffelbach, T. & Stauffer, B., 1988. 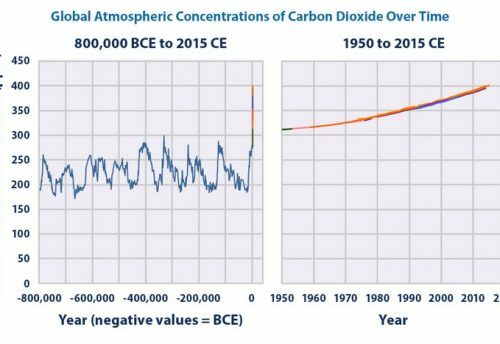 CO2 record in the Byrd ice core 50,000 – 5,000 years BP. Nature, 331, pp. 609-611. Newell, N.E., Newell, R.E., Hsiung, J. & Zhongxiang, W., 1989. Global marine temperature variation and the solar magnetic cycle. Geophys. Res. Lett., 16(4), pp. 311-314. Nicholson, S.E., 1989. Long term changes in African rainfall. Weather, 44, pp. 46-56. Nicolis, C., 1984. Self-oscillations, external forcings, and climate predictability. In: Milankovitch & Climate, Berger, A.L., Imbrie, J., Hays, J., Kukla, G. & Saltzman, B. (eds.). D. Reidal, Dordrecht, Netherlands, pp. 637-652. Nicolis, C. & Nicolis, G., 1984. Is there a climate attractor? Nature, 311, pp. 529-532. Nye, J.F., 1965. A numerical modelling method of inferring the budget history of a glacier from its advance and retreat. J. Glaciol., 5, pp. 589-607. O’Riordan, T. & Jordan, A., 1995. Precautionary Principle, Science, Politics & Ethics, Working Paper PA 95-02. Centre for Social & Economic Research on Global Environment (CSERGE). Oeschger, H., Stauffer, B., Bucher, P. & Loosli, H.H., 1977. Extraction of gases and dissolved and particulate matter from ice in deep boreholes. In: Isotopes and impurities in Snow and Ice, International Association of Scientifc Hydrology Publication No. 118. IASH, Washington D.C., pp. 307-311. Officer, C.B. & Drake, C.L., 1983. The Cretaceous-Tertiary transition. Science, 219, pp. 1383-1390. Olderman, L.R., 1987. Characterisation of main experimental sites and sub-sites and questions of instrumentation. In: Agricultural Environments, Bunting, A.H. (ed.). Commonwealth Agricultural Bureau International, pp. 101-112. Palmer, T., 1989. A weather eye on unpredictability. New Scientist, 124, pp. 56-59. Parrish, J.T., Ziegler, A.M. & Scotese, C.R., 1982. Rainfall pattern and the distribution of coals and evaporites in the Mesozoic and Cenozoic. Palaeogeog., Palaeoclimatol., Palaeoecol.., 40, pp. 67-101. Parry, M.L., 1990. Climate Change & World Agriculture. London: Earthscan Publications Ltd.
Parry, M.L. & Carter, T.R., 1988. The assessments of the effects of climate variations on agriculture: aims, methods and summary of results. In: The Impact of Climate Variations on Agriculture, Volume 1, Assessments in Cool Temperate and Cold Regions, Parry, M.L., Carter, T.R. & Konijn, N.T. (eds.). Kluwer, Dordrecht, The Netherlands. Parry, M.L., Carter, T.R. & Porter, J.H., 1989. The Greenhouse Effect and the Future of UK Agriculture. J. Royal Agric. Soc. Eng., pp. 120-131. Paterson, W.S.B., Koerner, R.M., Fisher, D., Johnsen, S.J., Clausen, H.B., Dansgaard, W., Bucher, P. & Oeschger, H., 1977. An oxygen isotope climatic record from the Devon Ice Cap, Arctic Canada. Nature, 266, pp. 508-511. Petit, J.R., Briat, M. & Royer, R.A., 1981. Ice age aerosol content from East Antarctica ice core samples and past wind strength. Nature, 293, pp. 391-394. Petit, J.R., Mounier, L., Jouzel, J., Korotkevich, Y.S. & Kotlyakov, V.M. & Lorius, C., 1990. Palaeoclimatological and chronological implications of the Vostok core dust record. Nature, 343, pp. 56-58. Pickering, K.T. & Owen, L.A., 1994. An introduction to global environmental issues. Routledge, London, 390pp. Porter, S.C., 1979. Hawaiian glacial ages. Quat. Res., 12, pp. 161-187. Porter, S.C., 1986. Pattern and forcing of northern hemisphere glacier variations during the last millenium. Quat. Res., 26, pp. 27-48. Porter, S.C. & Orombelli, G., 1985. Glacier contraction during the middle Holocene in the western Italian Alps: Evidence and implications. Geology, 13, pp. 296-298. Posey, J.W. & Clapp, P.F., 1964. Global distribution of normal surface albedo. Geofis. Int., 4, pp. 33-48. Powell, C. McA. & Veevers, J.J., 1987. Namurian uplift in Australia and South America triggered the main Gondwanan glaciation. Nature, 326, pp. 117-119. Prather, M., Derwent, R., Ehhalt, D., Fraser, P., Sanhueza, E. & Zhou, X., 1995. Other trace gases and atmospheric chemsitry. In: Climate Change 1994: Radiative Forcing of Climate Change, and An Evaluation of the IPCC IS92 Emission Scenarios, Intergovernmental Panel on Climate Change (IPCC), Houghton, J.T., Meira Filho, L.G., Bruce, J., Lee, H., Callander, B.A., Haites, E., Harris, N. & Maskell, K. (eds.). Cambridge University Press, Cambridge, pp. 73-126. Quinn, W.H. & Neal, V.T., 1992. The historical record of El Niño events. In: Climate Since A.D. 1500. Bradley, R.S. & Jones, P.D. (eds.). Routledge, London, pp. 623-648. Rampino, M.R. & Volk, T., 1988. Mass extinctions, atmospheric sulphur and climatic warming at the K/T boundary. Nature, 332, pp. 63-65. Raval, A. & Ramanathan, V., 1989. Observational determination of the greenhouse effect. Nature, 342, pp. 758-761. Raymo, M.E. & Ruddiman, W.F., 1992. Tectonic forcing of late Cenozoic climate. Nature, 359, pp. 117-122. Raymo, M.E., Ruddiman, W.F. & Clement, B.M., 1986. Pliocene-Pleistocene palaeoceanography of the North Atlantic at Deep Sea Drilling Project 609. Initail Report of the Deep Sea Drilling Project, 94, pp. 895-901. Raymo, M.E., Ruddiman, W.F. & Froelich, P.N. 1988. Influence of late Cenozoic mountain building on ocean geochemical cycles. Geology, 16, pp. 649-653. Raymo, M.E., Ruddiman, W., Shackleton, N.J. & Oppo, D.W., 1990. Evolution of Atlantic-Pacific 13C gradints over the last 2.5 m.y. Earth Plan. Sci. Lett., 97, pp. 353-368. Raynaud, D. & Lorius, C., 1973. Climatic implications of total gas content in ice at Camp Century. Nature, 243, pp. 283-284. Ritchie, J.C. & Haynes, C.V., 1987. Holocene vegetation zonation in the eastern Sahara. Nature, 330, pp. 126-128. Ritchie, J.C., Cwynar, L.C. & Spear, R.W., 1983. Evidence from north-west Canada for an early Holocene Milankovitch thermal maximum. Nature, 305, pp. 126-128. Robock, A., 1978. Internally and externally caused climate change. J. Atmos. Sci., 35, pp. 1111-1122. Rosenzweig, C., Parry, M.L., Fischer, G. & Frohberg, K., 1993. Climate Change and World Food Supply, Research Report No. 3. Univeristy of Oxford, Environmental Change Unit. Rotmans, J. & den Elzen, M.G.J., 1993. Modelling feedback mechanisms in the carbon cycle: balancing the carbon budget. Tellus, 45B, pp. 301-320. Ruddiman, W.F. & Kutzbach, J.E., 1989. Forcing of late Cenozoic northern hemisphere climates by plateau uplift in southeast Asia and the American southwest. J. Geophys. Res., 94, pp. 18409-18427. Ruddiman, W.F. & Kutzbach, J.E., 1991. Plateau uplift and climatic change. Scientific American, 264(3), pp. 42-50. Sachs, M.H., Webb, T. & Clark, D.R., 1977. Palaeoecological transfer functions. Ann. Rev. Earth Planet Sci., 5, pp. 159-178. Saltzman, B., 1985. Palaeoclimate modeling. In: Palaeoclimate Analysis and Modeling, Hecht, A.D. (ed.). Wiley-Intersience, New York, pp. 341-396. Sanberg, P.A., 1983. An oscillating trend in Phanerozoic nonskeletal carbonate mineralogy. Nature, 305, pp. 19-22. Sarmiento, J. L. & Toggweiler, J.R, 1984. A new model for the role of the oceans in determining atmospheric pCO2. Nature, 308, pp. 621-624. Savin, S.M., 1977. The history of the Earth’s surface temperature during the past 100 million years. Ann. Rev. Earth. Plan. Sci., 5, pp. 319-355. Schimel, D., Enting, I.G., Heimann, M, Wigley, T.M.L., Raynaud, D., Alves, D. & Siegenthaler, U., 1995. CO2 and the carbon cycle. In: Climate Change 1994: Radiative Forcing of Climate Change, and An Evaluation of the IPCC IS92 Emission Scenarios, Intergovernmental Panel on Climate Change (IPCC), Houghton, J.T., Meira Filho, L.G., Bruce, J., Lee, H., Callander, B.A., Haites, E., Harris, N. & Maskell, K. (eds.). Cambridge University Press, Cambridge, pp. 35-71. Schneider, S.H., 1992. 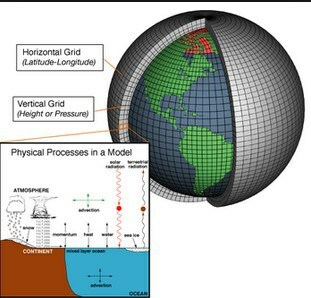 Introduction to climate modelling. In: Climate System Modeling, Trenberth, K.E. (ed.). Cambridge University Press, Cambridge, pp. 3-26. Schneider, S.H., Thompson, S.L. & Barron, E.J., 1985. Mid-Cretaceous continental surface temperatures: Are high CO2 concentrations needed to simulate above freezing winter conditions? In: The Carbon Cycle and Atmospheric CO2: Natural Variations Archean to Present. Sundquist, E.T. & Broecker, W.S (eds.). Geophys. Mon., 32, Amer. Geophys. Union, Washington D.C., pp. 554-560. Schwarzkopf, M.D. & Ramaswamy, V., 1993. Radiative forcing due to ozone in the 1980s: Dependence on altitude of ozone change. Geophys. Res. Lett., 20, pp. 205-208. Schweingruber, F.H., Fritts, H.C., Bräker, O.U., Drew, L.G. & Schär, E., 1978. The X-ray technique as applied to dendroclimatology. Tree Ring Bull., 38, pp. 61-91. Sear, C.B., Kelly, P.M., Jones, P.D. & Goodess, C.M., 1987. Global surface-temperature responses to major volcanic eruptions. Nature, 330, pp. 365-367. Seidov, D.G., 1986. Numerical modelling of the ocean circulation and palaeocirculation. In: Mesozoic and Cenozoic Oceans. Hsü, K. (ed.). Geodynamic Series, vol. 15, Amer. Geophys. Union, Washington D.C., pp. 11-26. Shackleton, N.J., 1977. The oxygen isotope stratigraphic record of the late Pleistocene. Phil. Trans. Royal Soc. B, 280, pp. 169-179. Shackleton, N.J., 1988. Oxygen isotopes, ice volume and sea level. Quat. Sci. Rev., 6, pp. 183-190. Shackleton, N.J. & Kennett, J.P., 1975. Palaeo-temperature history of the Cenozoic and the initiation of Antarctic glaciation: Oxygen and carbon isotope analysis in DSDP sites 277, 279 and 281. In: Initail Report of the Deep Sea Drilling Project, vol. 5, Kennet, J.P. et al. (eds.). US Govt. Print. Office, Washington D.C., pp. 743-755. Shine, K., Derwent, R.G., Wuebbles, D.J. & Morcette, J.J., 1990. Radiative forcing of climate. In: Climate Change: The IPCC Scientific Assessment, Intergovernmental Panel on Climate Change (IPCC), Houghton, J.T., Jenkins, G.J. & Ephraums, J.J. (eds.). Cambridge University Press, Cambridge, pp. 41-68. Shine, K.P., Fouquart, Y, Ramaswamy, V, Solomon, S. & Srinivasan, J., 1995. Radiative Forcing. In: Climate Change 1994: Radiative Forcing of Climate Change, and An Evaluation of the IPCC IS92 Emission Scenarios, Intergovernmental Panel on Climate Change (IPCC),. Houghton, J.T., Meira Filho, L.G., Bruce, J., Lee, H., Callander, B.A., Haites, E., Harris, N. & Maskell, K. (eds.). Cambridge University Press, Cambridge, pp. 163-203. Shukla, J. & Mintz, Y., 1982. Influence of land-surface evapotranspiration on the Earth’s climate. Science, 215, pp. 1498-1501. Siegenthaler, U. 1988. Causes and effects of natural CO2 variations during the glacial-interglacial cycles. In: Lecture Notes in Earth Sciences, 16. Long & Short Term Variability of Climate. Wanner, H. & Siegenthaler, U. (eds.). Spring-Verlag, Berlin, Heidelberg. Siegenthaler, U. & Wenk, T., 1984. Rapid atmospheric CO2 variations and ocean circulation. Nature, 308, pp. 624-625. Solomon, A.M., 1986. Transient response of forests to CO2-induced climate change: simulation modelling experiments in eastern North America. Oecologia, 68, pp. 567-579. Solomon, A.M. & West, D.C., 1986. Atmospheric carbon dioxide change: agent of future forest growth or decline? In: Effects of Changes in Stratospheric Ozone and Global Climate; Volume 3: Climate Change, Titus, J.G. (ed.). United Nations Environment Programme, and US Environmental Protection Agency, Washington D.C., pp. 23-28. Spencer, R.W. & Christy, J.R., 1990. Precise monitoring of global surface temperature trends from satellites. Science, 247, pp. 1558-1561. Stauffer, B., Neftel, A., Oeschger, H. & Schwander, J., 1985. CO2 concentration in air extracted from Greenland ice samples. In: Greenland Ice Core: Geophysics, Geochemistry & the Environment. Langway, C.C., Oeschger, H. & Dansgaard, W. (eds.). Geophys. Mono., 33, Amer. Geophys. Union. Washington D.C., pp. 85-90. Stauffer, B., Lochbronner, E., Oeschger, H. & Schwander, J., 1988. Methane concentration in the glacial atmosphere was only half that of the pre-industrial Holocene. Nature, 332, pp. 812-814. Stouffer, R.J., Manabe, S. & Bryan, K., 1989. On the climate change induced by a gradual increase of atmospheric carbon dioxide. Nature, 342, pp. 660-662. Strain, B.R. & Cure, J.D., eds., 1985. Direct Effect on Increasing Carbon Dioxide on Vegetation, DOE/ER-0238, U.S. Department of Energy, Washington D.C.
Street-Perrott, F.A. & Perrott, R.A., 1990. Abrupt climate fluctuations in the tropics: The influence of Atlantic circulation. Nature, 343, pp. 607-612. Stuiver, M., Braziunas, T.F., Becker, B. & Kromer, B., 1991. Climatic, solar, oceanic and geomagnetic influences on late-glacial and Holocene atmosphere 14C/12C change. Quat. Res., 35(1), pp. 1-24. Sullivan, W., 1974. Continents in Motion: The New Earth Debate. McGraw Hill, New Yok. Taylor, K. & Penner, J.E., 1994. Response of the climate system to atmospheric aerosols and greenhouse gases. Nature, 369, pp. 734-737. Tickell, Sir Crispin, 1989. Environmental Refugees. National Environment Research Council Annual Lectures, at the Royal Society , London, UK, 5 June, 1989. Titus, J.G., Kuo, C.Y., Gibbs, M.J., LaRoche, T.B., Webb, M.K. & Waddell, J.O., 1987. Greenhouse effect, sea level rise, and coastal drainage systems. Journal of Water Resources Planning & Management, 113 (2). Toggweiler, J.R. & Sarmiento, J. L., 1985. Glacial to interglacial changes in atmopsheric carbon dioxide: The critical role of ocean surface water in high latitudes. In: The Carbon Cycle and Atmospheric CO2: Natural Variations Archean to Present. Sundquist, E.T. & Broecker, W.S. (eds.). Geophys. Mon., 32, Amer. Geophys. Union, Washington D.C., pp. 163-184. Trewartha, G.T. & Horn, L.H., 1980. An Introduction to Climate. New York: McGraw-Hill. Turner, R.K., 1995 Sustainable Development and Climate Change, Working Paper PA 95-01, Centre for Social & Economic Research on the Global Environment (CSERGE). Umbgrove, J.H.F., 1947. The pulse of the Earth, 2nd edn. Nijhoff, The Hague. United Nations Environment Programme (UNEP), 1989. Criteria for Assessing Vulnerabilty to Sea Level Rise: A Global Inventory to High Risk Areas, UNEP and the Government of the Netherlands. Draft report, 57pp. United Nations Environmental Programme / World Meteorological Organisation (UNEP/WMO), 1992. Framework Convention on Climate Change. United Nations, Geneva. Urey, H.C., 1947. The thermodynamic properties of isotopic substances. J. Chem. Soc., 152, pp. 190-219. Urey, H.C., 1948. Oxygen isotopes in nature and in the laboratory. Science, 108, pp. 489-496. Vail, P.R., Mitchum, R.M. & Thompson, S., 1977. Seismic stratigraphy and global changes in sea level. In: Seismic Stratigraphy: Application to Hydrocarbon Exploration. Amer. Soc. Pet. Geol. Mem., 26, Amer. Soc. Pet. Geol. Mem., Tulsa, Oklahoma, pp. 83-97. Vinnikov, K.Ya., Groisman, P.Ya. & Lugina, K.M., 1990. Empirical data on global climate changes (temperature and precipitation). J. Climate, 3, pp. 662-677. Wang, W.C., Zhuang, Y.C. & Bojkov, R.D., 1993. Climate implications of observed changes in ozone vertical distribution at middle and high latitudes of the Northern Hemisphere. Geophys. Res. Lett., 20, pp. 1567-1570. Warren, S.G., Hahn, C.J., London, J., Chervin, R.M. & Jenne, R.L., 1988. Global distribution of total cloud cover and cloud type amounts over the oceans. NCAR Tech. Note TN 317+STR, 44pp, Boulder, Colorado, USA. Washburn, A.L., 1979. Permafrost features as evidence of climatic change. Earth Sci. Rev., 15, pp. 327-402. Washington, W.M. & Meehl, G.A., 1989. Climate sensitivity due to increased CO2: experiments with a coupled atmosphere and ocean general circulation model. Climate Dynamics, 4, pp. 1-38. Watson, R.T., Rodhe, H., Oeschger, H. & Siegenthaler, U., 1990. Greenhouse gases and aerosols. In: Climate Change: The IPCC Scientific Assessment, Intergovernmental Panel on Climate Change (IPCC), Houghton, J.T., Jenkins, G.J. & Ephraums, J.J. (eds.). Cambridge University Press, Cambridge, pp. 1-40. Watson. R.T., Meira Filho, L.G., Sanhueza, E. & Janetos, A., 1992. Greenhouse gases: Sources and sinks. In: Climate Change 1992: The supplementary report to the IPCC Scientific Assessment, Intergovernmental Panel on Climate Change (IPCC), Houghton, J.T., Callander, B.A. & Varney, S.K. (eds.). Cambridge University Press, Cambridge, pp. 25-46. Wayne, 1991. Chemistry of Atmosphere. Oxford University Press, Oxford. Weiss, N.O., 1990. Periodicity and aperiodicty in solar magnetic activity. Phil. Trans. Royal Soc. London, A, 330, pp. 617-626. Wenk, T. & Siegenthaler, U. 1985. The high latitude ocean as a control of atmospheric CO2. In: The Carbon Cycle and Atmospheric CO2: Natural Variations Archean to Present. Sundquist, E.T. & Broecker, W.S (eds.). Geophys. Mon., 32, Amer. Geophys. Union, Washington D.C., pp. 185-194. Wigley, T.M.L., 1976. Spectral analysis and the astronomical theory of climate change. Nature, 264, pp. 629-631. Wigley, T.M.L., 1978. Climate change since 1000 AD. In: Evolution des atmosphères planétaires et climatologie de la terre. Centre National D’Etudes Spatiales, Toulouse, pp. 313-324. Wigley, T.M.L., 1987. Relative contributions of different trace gases to the greenhouse effect. Climate Monitir, 16, pp. 16-29. Wigley, T.M.L., 1988. The climate of the past 10,000 years and the role of the Sun. In: Secular Solar and Geomagnetic Variations in the Last 10,000 years, Stephenson, R.F. & Wolfendale, A.W. (eds.). Kluwer Academic Publishers. Dordrecht, pp. 209-224. Wigley, T.M.L., 1989. Possible climatic change due to SO2-derived cloud condensation nuclei. Nature, 339, pp. 365-367. Wigley, T.M.L. & Kelly, P.M., 1990. Holocene climatic change: 14C wiggles and variations in solar irradiance. Phil. Trans. Royal Soc. London A, 330, pp. 547-560. Wigley, T.M.L. & Barnett, T.P., 1990. Detection of the Greenhouse Effect in the Observations. In: Climate Change: The IPCC Scientific Assessment, Intergovernmental Panel on Climate Change (IPCC), 1990a. Houghton, J.T., Jenkins, G.J. & Ephraums, J.J. (eds.). Cambridge University Press, Cambridge, pp. 239-255. Wigley, T.M.L. & Raper, S.C.B., 1990. Natural variability of the climate system and detection of the greenhouse effect. Nature, 344, pp. 324-327. Wigley, T.M.L., Holt, T. & Raper, S.C.B., 1991. STUGE (An Interactive Grenhouse Model): User’s Manual, Climate Research Unit, Norwich, UK, 44pp. Wilkinson, B.H. & Given, R.K., 1986. Secular variation in abiotic marine carbonates: Constraints on Phanerozoic atmospheric carbon dioxide contents and oceanic Mg/Ca ratios. J. Geol., 94, pp. 321-333. Williams, D.F. & Johnson, W.C., 1975. Diversity of recent planktonic foraminifera in the southern Indian Ocean and late Pleistocene temperatures. Quat. Res., 5, pp. 237-250. Williams, G.E., 1975a. Possible relation between periodic glaciation and the flexure of the Galaxy. Earth Planet. Sci. Lett., 26, pp. 361-369. Williams, G.E., 1975b. Late Precambrian glacial climate and the Earth’s obliquity. Geol. Mag., 112, pp. 441-465. Williams, R.B.G., 1975., The British climate during the last glaciation; an interpretation based on periglacial phenomena. In: Ice ages: ancient and modern, Wright, A.E. & Moseley, F. (eds.). Geological Journal Special Issue No. 6, Liverpool University Press, Liverpool, pp. 95-120. Winget, C.H., 1987. Forest management strategies to address climate change. In: Preparing for Climate Change – Proceedings of the First North American Conference on Preparing for Climate Change: A Cooperative Approach. The Climate Institute, Washington D.C., pp. 328-333. World Meteorological Organisation (WMO), 1991. Scientific Assessment of Ozone Depletion; 1991. Global Ozone Research and Monitoring Project Report No. 25. WMO, Geneva. World Meteorological Organisation (WMO), 1994. Scientific Assessment of Ozone Depletion; 1994. Global Ozone Research and Monitoring Project Report No. 37. WMO, Geneva. Yao, Shan-yu, 1943. The geographical distribution of floods and droughts in Chinese history 206 BC – AD 1911. Far East. Qtly, 2, pp. 357-378.